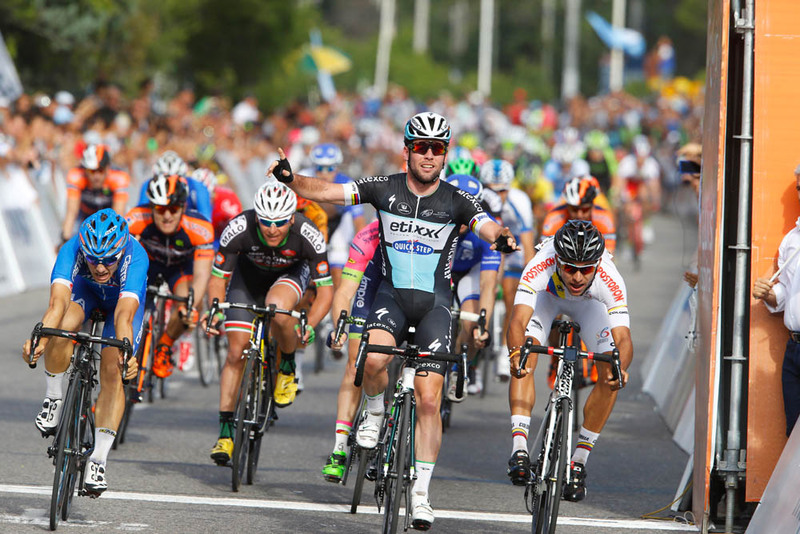 Mark Cavendish (Etixx-Quick Step) sprinted to his first win of 2015 in Argentina’s Tour de San Luis on Sunday. After twice losing head-to-head against Colombian Fernando Gaviria, he beat his rival to second in the final stage. Cavendish lost stage one and stage three, the first sprints, to 20-year-old Gaviria. Gaviria both times jumped Cavendish and held his advantage. On stage three, his acceleration took him three bike lengths ahead of Cavendish. 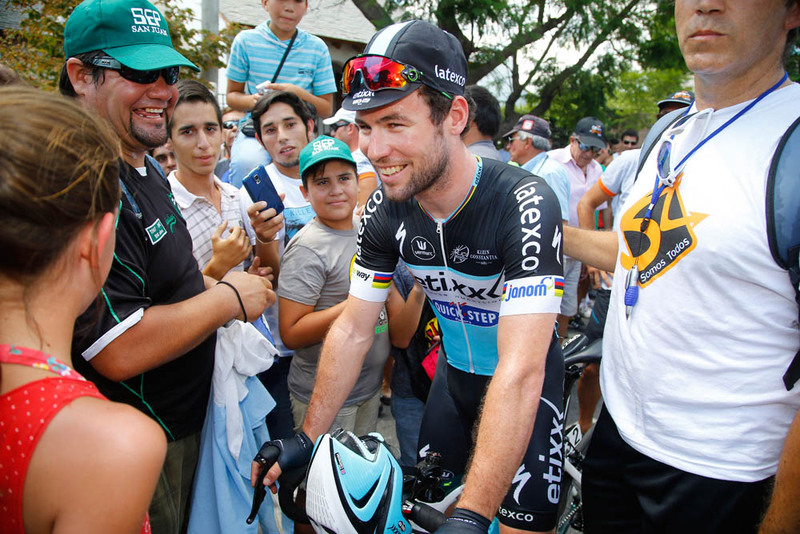 On Sunday in San Luis’ centre, Cavendish won but it was a close battle. He said that he purposely began his sprint early to anticipate Gaviria. Lampre-Merida’s blue and pink train led for Italian Sacha Modolo into the final kilometre. World Champion Michal Kwiatkowski surged ahead with Fabio Sabatini and Cavendish in his wake. “With four kilometres to go Guillaume Van Keirsbulck took it up. Other teams came close, but then Lukasz Wisniowski took over the lead-out. He took it into the last corner,” Cavendish continued. Jakub Mareczko, riding for the Italian national team, placed third and Modolo fourth. Cavendish will leave Argentina for the Dubai Tour, February 4 to 7. The Tour de San Luis race training and win will likely give him and the Etixx train extra confidence as it sprints towards Milan-San Remo and the Tour de France. 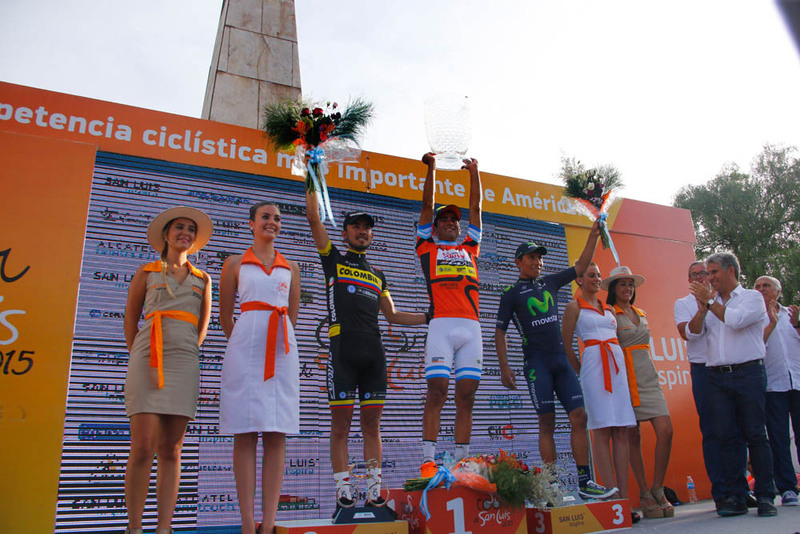 Argentinian Daniel Diaz (Funvic) took the overall win ahead of Colombians Rodolfo Torres (Colombia national team) and last year’s winner Nairo Quintana (Movistar) in third.